Okay, finished a new drawing I thought I'd share with you all. 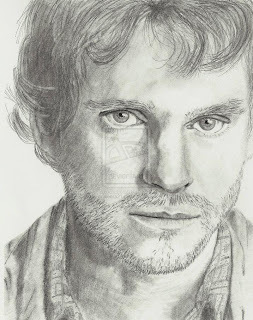 It's of Hugh Dancy as Will Graham in the NBC TV series Hannibal (Yes, I am a HUGE Fannibal for those that aren't fed up of my mentioning it all the time on Facebook and Twitter!). Drawn over about 3.5 hours in pencil. Enjoy.